Still in perfect Condition. It was custom made by George Elsissa. This was my dream dress he designed. 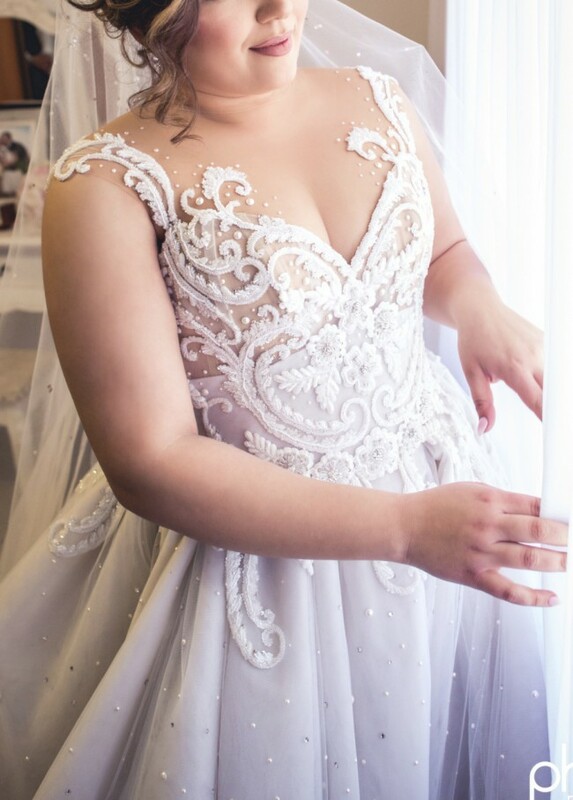 Felt like a princess on our wedding day. The fit was perfect. More pictures and videos if wanted. Once you send a message, Sandy can invite you to purchase the dress.